In this article I present 5 ways to protect the Django Admin from human errors and attackers. Every framework has a fingerprint and Django is no exception. A skilled developer, an attacker or even a tech savvy user can identify a Django site by looking at things like cookies and auth URLs. Once a site is identified as a Django site, an attacker will most likely try /admin. To make it harder to gain access we can change the "recommended" URL to something harder to guess. Change "super-secret" to something you and your team can remember. This is definitely not the only precaution you should take, but it is a good start. Users and admins are not perfect and mistakes happen. 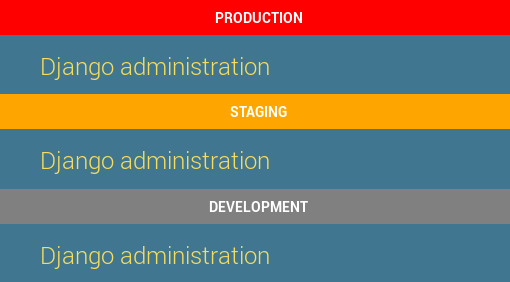 When you have multiple environments such as development, QA, staging and production, it's not unlikely for an admin to perform a destructive operation in the wrong environment by accident (just ask gitlab). First you need to have some way of knowing which environment you are on. We have a variable called ENVIRONMENT_NAME we populate during deployment. We have another variable called ENVIRONMENT_COLOR for the indicator color. Now when you open Django Admin you should see the indicator on top. For more exotic options look around in the docs. Using the same codebase you can deploy two instances of the same Django app - one only for the admin and one only for the rest of the app. This is controversial and not as easy as the other tips. The implementation is dependent on the configuration (e.g. if you are using gunicorn or uwsgi) so I won't go into the details. Deploy the admin inside a VPN (virtual private network) - If the admin is used only internally and you have a VPN it is good practice to have it inside the private network. Remove unnecessary components from the main site - For example, the Django admin uses the messages framework. If the main site does not, you can remove that middleware. 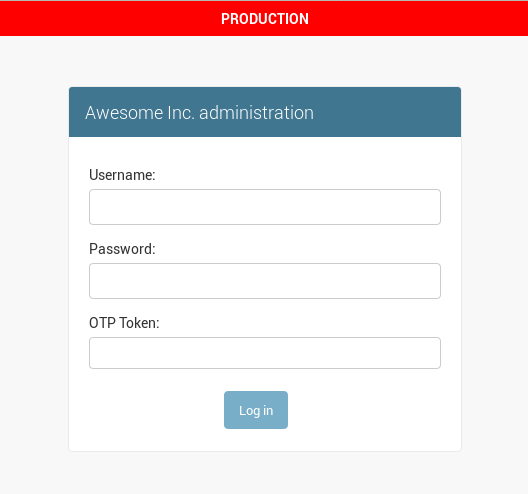 Another example is authentication - if the main site is an API backend using token authentication, you can remove a lot of templates configuration, session middleware, etc. and trim some fat from the request-response cycle. Stronger authentication - If you want to strengthen the security of Django Admin you might want to provide a different authentication mechanism just for the admin. This is much easier on different instances with different settings. We split the admin from the main site only in public facing sites. We don't bother with internal apps because it complicates the deployment and it has no benefit of being more secure. Something you know - Usually a password. Something you have - Usually a mobile app that generates a random number every 30 seconds (such as Authenticator by Google). On first signup the user is usually asked to scan a barcode with the authenticator app. 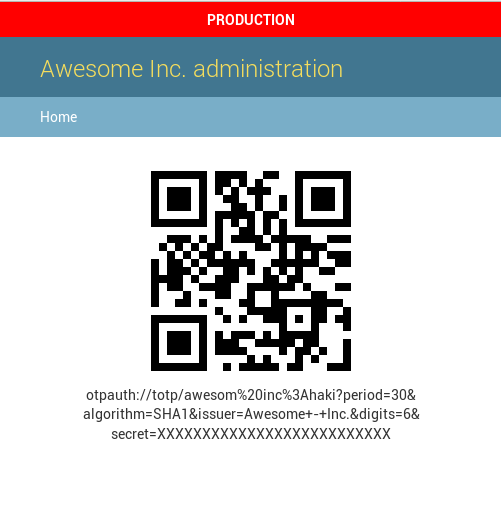 After this initial setup the app will start generating the one-time codes. I don't usually recommend third party packages, but a couple of months ago we started using django-otp to implement 2FA in our admin site and it's working great for us. It's hosted on Bitbucket so you might have missed it. Name the issuer - this is the name users will see in the authenticator app, so make it distinguishable. Have the user scan the QR code with the authenticator app on their personal device, and they will have a fresh code generated every 30 seconds. 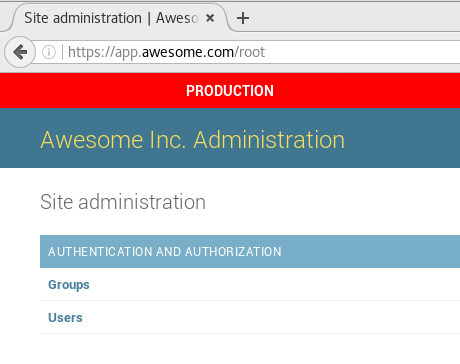 Making a Django admin safer and more secure doesn't have to be hard - you just have to pay attention. Some of the tips mentioned here are very easy to set up and they go a long way.